A new innovative cross-university project in the field of computer science designed to further develop deep learning, the current engine of artificial intelligence, has won out in the third round of the Rhine-Main Universities (RMU) Initiative Funding for Research. 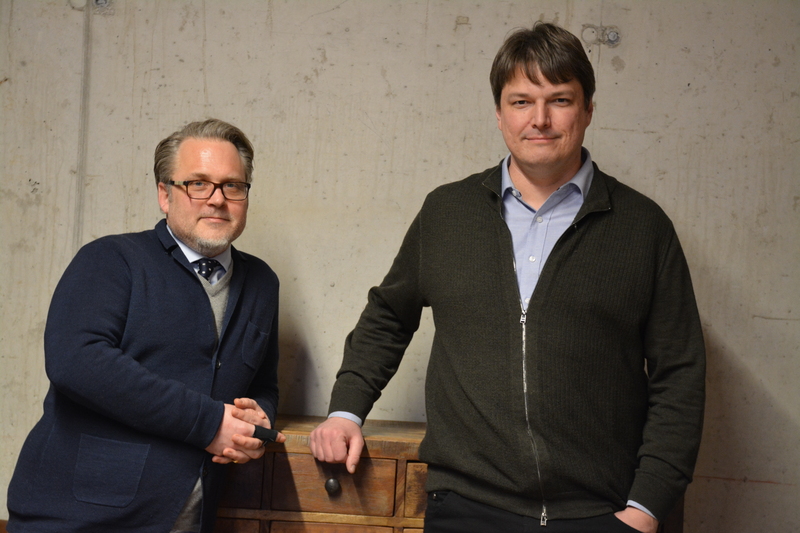 Professor Kristian Kersting (l.) of TU Darmstadt and Professor Stefan Kramer (r.) of JGU coordinate the RMU Network for Deep Continuous-Discrete Machine Learning (DeCoDeML). The RMU Network for Deep Continuous Discrete Machine Learning (DeCoDeML) will combine the machine learning expertise of Johannes Gutenberg University Mainz (JGU), TU Darmstadt, and Goethe University Frankfurt, enabling them to tackle important unresolved issues in deep learning. Artificial intelligence (AI) is already an integral part of daily life where it plays a role in image recognition, voice control, and social bots through to self-driving cars and humanoid robots. One of the key problems is how to generate human perception and human activity in the form of "intelligent" computer programs. In the RMU Network for Deep Continuous-Discrete Machine Learning, or DeCoDeML for short, the participating researchers at the Rhine-Main Universities of Mainz, Darmstadt, and Frankfurt will examine the question of how the results of machine learning can be made more comprehensible or at least perceived in such a way that they can be related to human understanding. Johannes Gutenberg University Mainz has particular expertise in the analysis of complex structured data, such as sequences, time series, and images, as well as in the analysis of data streams. The particular focus of the team at TU Darmstadt is on machine learning using uncertain data and knowledge as well as the learning of intelligible prediction models in the form of rules. Core research areas of Goethe University Frankfurt involve the cognitive aspects of learning, such as the question of how learning is guided by expectations, and in taking a systems-oriented view of technical systems with machine learning components. Areas of application include the understanding and generation of images and films (Mainz, Frankfurt), the processing of texts and speech (Darmstadt), and the analysis of biological sequences (Mainz). Joint prior work has already taken place both within the universities and between the universities, as a result of work done by the researchers in earlier stages of their careers. Moreover, the two coordinators of the project, Professor Stefan Kramer of the Institute of Computer Science at JGU and Professor Kristian Kersting of the Computer Science Department at TU Darmstadt, are also currently active members of the Platform Learning Systems advisory committee of the German Federal Ministry of Education and Research (BMBF), which deals with policy formation and potential funding for machine learning in Germany. One of the purposes of the new RMU project is to facilitate a lively exchange of ideas between the institutions to result in new joint projects. There are currently a total of eight professors involved from the three universities, three from Mainz, three from Darmstadt, and two from Frankfurt. The consortium can and may be extended. "We are very pleased that with support from the RMU Initiative Funding for Research we can create a platform here in the Rhine-Main area in the field of machine learning, on which further research networks will be able to build," commented the project coordinators. The kick-off meeting for the DeCoDeML project took place on December 18, 2018. Academics from all three universities outlined their existing research approaches and projects in the field, providing a basis for setting up and developing new collaborations.